It’s been five years since ASPI last took a detailed look at the capability of the ADF. Our 2010 Capability Review series  looked at each of the services and the overall ability of the ADF to network its forces. The picture back then was very much a ‘work in progress’ of implementing the 2000 Defence White paper and of patchiness in some key areas. The picture today is quite different. The Air Force, which is the subject of the first paper in our 2015 series , is well advanced in a period of renewal that will see effectively the entire fleet replaced and its business processes reengineered from end to end. The Navy is a few years behind, with most of its recapitalisation still ahead of it, but it has made good progress in remediating its most serious shortcomings. Army has embarked on a fundamental restructuring of its brigade structure and is in the early stages of replacing its fleet of armoured vehicles. Overall, the ADF is in much better shape today than it was five years ago. We’re seeing a consolidation of plans formulated back in 2000 and the years of consistent investment required to implement them. I think that’s a good argument for white papers to be used judiciously. It takes time to turn force structure plans into reality, and the bigger the changes the more time it takes. A glance through the major capability proposals of the 2000 white paper—15 years on it’s a task still not finished —shows just how many of today’s top end capabilities originated there. That includes the Wedgetail airborne early warning and control and KC-30A tanker transports that deployed successfully into Iraq last year, and Navy’s forthcoming air warfare destroyers. A white paper every 15 years is probably about right. If governments want to have something to say about their view of the world and the role of the military, strategic updates in between white papers could provide the outlet. The essay at the start of the white paper can easily be updated; the resources allocation and force structure plans at the back take time, effort and money. The ADF’s force structure represents about $150 billion of investment over decades. Like an aircraft carrier at high speed, it doesn’t turn around quickly  (video). And the government of the day can always decide to make ‘out of cycle’ purchases if it sees the need—C-17s, LHDs, Super Hornets and HMAS Choules all fit that description. But onto the first part of the series. Last year the RAAF deployed a package of aircraft into Iraq as part of a multi-national coalition and hit the ground running. Not only has it since flown hundreds of combat missions, it’s really pulling its weight. Unlike previous coalition contributions, Australia has provided not just strike fighters at the ‘pointy end’, but a complete package with its own combat support enabling aircraft including Wedgetail and tankers. That’s allowed Australia to assist coalition partners with those services—which are usually oversubscribed in any lengthy air campaign. Australian controllers have been able to control the air campaign at times when other assets aren’t available. Clearly the Air Force is doing a lot right. As the table below shows, most capability areas have shown significant improvement since ASPI’s 2010 survey. Not coincidentally, the RAAF has been remarkably successful in winning government support for its acquisitions over the past decade, to the point where the RAAF can pretty much sit out the next defence white paper. Importantly, the money has turned into real capability. There are a couple of areas where more work is required, the most important of those being anti-submarine warfare. And that’s more dependent on the training required to develop operator expertise than it is on additional equipment purchases. 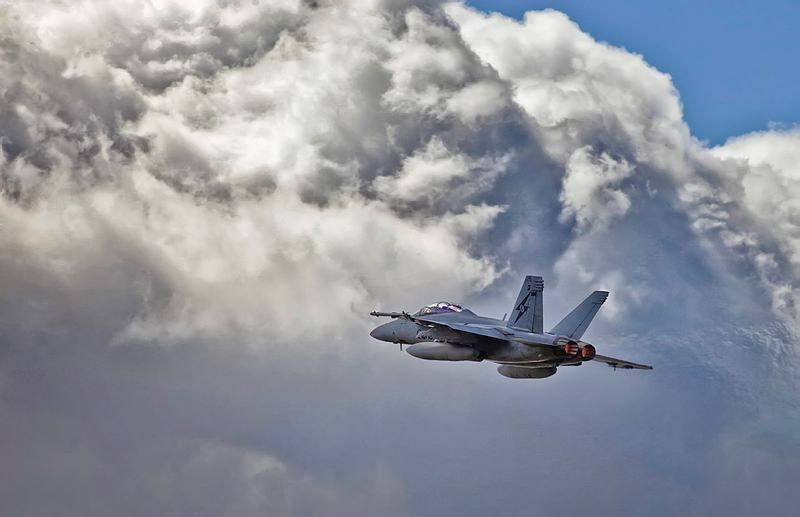 Control of the air and strike ↑ The RAAF now has a near state of the art air combat capability that is unmatched in the region, with the combination of Super Hornet, Wedgetail AEW&C and MRTT tankers. The addition of Growler to the mix will further increase this potent capability. ↑ The bedding in and expansion of the C-17A Globemaster III capability has provided Australia with a high capacity rapid response airlift capability, as demonstrated in the response to the Japanese earthquake, tsunami and nuclear accident ‘triple disaster’. Command and control ↑ The E-7 Wedgetail provides a world class battlespace management capability and Australian E-7s have on occasion taken the lead in managing the recent air campaign in Iraq. As well, it can provide airspace control in areas outside of Australia’s air traffic control system in support of civilian or other government air movements. The Vigilare system allows the RAAF to operate a single fused air picture and to allocate and control its own assets effectively. The overall networked capability to share data between platforms and command and control elements has increased significantly with the bedding in of the Link 16 tactical data link across multiple platforms.